Scott Falls is the Founding Partner of Falls Legal and his practice focuses exclusively on representation of employees in employment law matters before state and federal courts. He regularly represents employees in class and collective action wage and hour lawsuits brought under the Fair Labor Standards Act and the South Carolina Payment of Wages Act. Scott has helped workers recover millions of dollars in unpaid wages when employers have failed to pay overtime or minimum wages correctly. He also regularly represents individual employees in retaliation, discrimination, harassment, and FMLA cases. Mr. Falls has successfully argued appellate level cases at the Fourth Circuit Court of Appeals in Richmond, Virginia. He has served as lead trial counsel in federal retaliation, discrimination, and harassment cases that have resulted in substantial employee verdicts, including a verdict of $650,000.00 for an employee of one of South Carolina’s largest hospitals. Many of the cases Scott has handled on behalf of employees have resulted in significant published opinions. Mr. Falls frequently speaks and writes on employment law issues and was a contributing author to the Fifth Edition of South Carolina Labor and Employment Law, the leading treatise on employment law for South Carolina practitioners. In this treatise, he authored the chapter on the South Carolina Payment of Wages Act. Additionally, he is a contributing author to Wage and Hour Laws: A State-by-State Survey, Third Edition, a treatise by the Labor and Employment Law Section of the American Bar Association, published by BNA Books. He has also authored articles for South Carolina Lawyer Magazine and the South Carolina Labor & Employment Law Newsletter including the cover article in the January 2014 magazine entitled, “Navigating the FMLA Minefield: Seven Common Mistakes Employers Make.” Scott has also served as an expert witness on South Carolina’s doctrine of at-will employment in the Canadian court system, Ontario Superior Court of Justice. Scott is an active member of the National Employment Lawyers Association (“NELA”), the nation’s largest organization of attorneys dedicated to protecting the rights of employees. He regularly attends conferences sponsored by labor and employment law organizations across the country to stay current on trends impacting employees. He is also a member of the South Carolina Bar Labor & Employment Law Division and the American Bar Association Labor & Employment Law Section. Scott was recognized in 2017 and 2018 in Best Lawyers Magazine for his work in: Litigation – Labor and Employment. 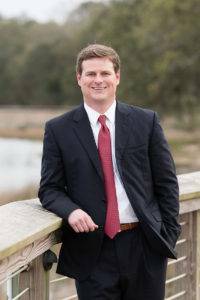 He was selected to the 2018 Rising Star list by Super Lawyers Magazine, an honor given to no more than 2.5% of those lawyers in South Carolina 40 or younger.